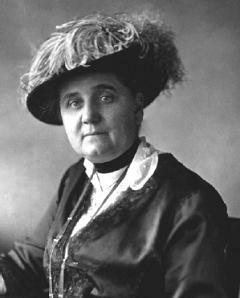 Jane Addams (1860–1935), 1931 Nobel Prize winner, for her pioneering work in founding Hull House in 1890, which created a lasting model for social change and diverse thought. Jane Addams is a Chicago icon. Her accomplishments in founding one of the nation’s first settlement houses, Hull- House (now spelled Hull House), in 1890 and creating a model for social change and democracy—addressing such issues as child labor, public health reform, garbage collection, labor laws, and race relations—have qualified her for inclusion in any pantheon of Chicagoans. She was also the first American woman to be awarded the Nobel Peace Prize, in 1931, in recognition of her tireless (and often thankless) activism against war and other forms of violence. In 2007, she was again commemorated when part of Interstate Highway 90 was named in her honor. Although she was born in 1860 in Cedarville, Illinois, and died in Chicago in 1935, her memory remains powerful in Chicago, the nation, and the world. During her lifetime, Jane Addams fought ceaselessly for the rights of the disenfranchised in Chicago and around the world. For her tireless and passionate work on behalf of peace, justice, and equality for all oppressed and exploited people and her exemplary status as a role model both historically and in the present, she is inducted into the Chicago Gay and Lesbian Hall of Fame.